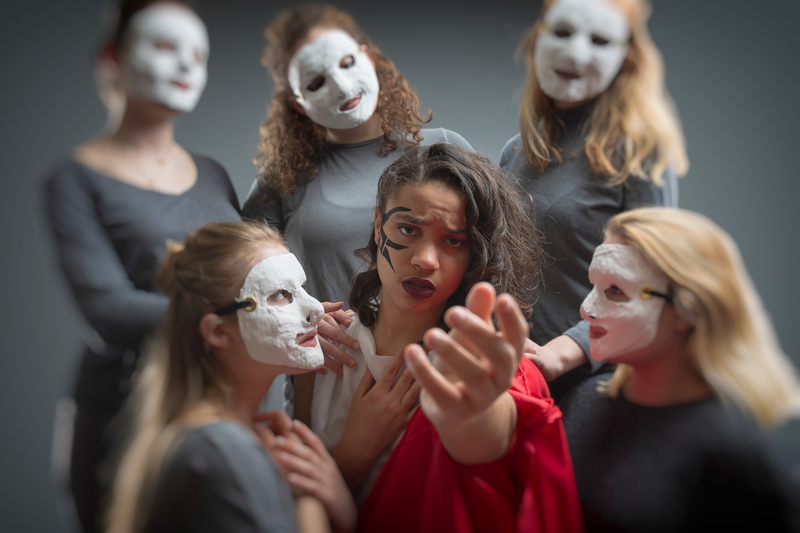 Walnut Hills High School Theatre Department Turns Tradition On Its Head With All-Female Production of Euripides’ Medea. 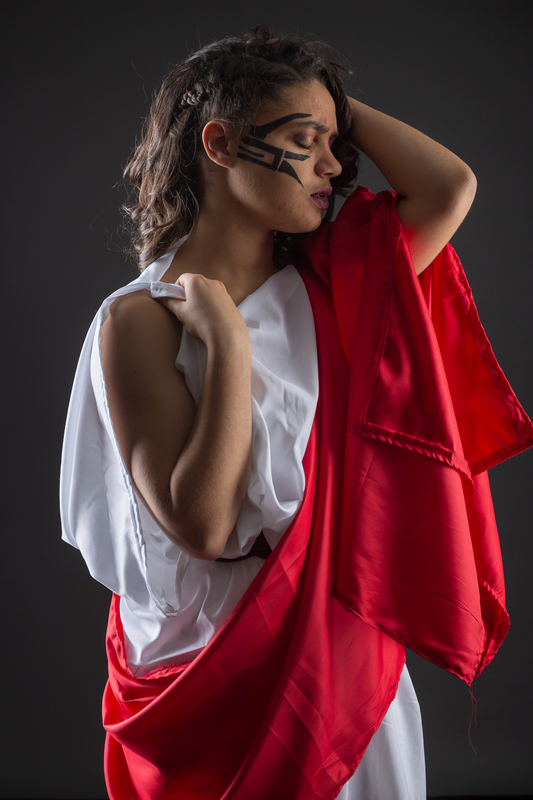 Imagine a time you have loved, a time you have lost, a time you have triumphed...Join us this April for one of the most powerful, but lesser-known Greek tragedies. Continuing where the myth of Jason and the Golden Fleece left off, Medea finds herself betrayed by her husband in a strange land. Set on a dark path, will she be able to come back from the brink, or will madness and the need for revenge consume her and her children? 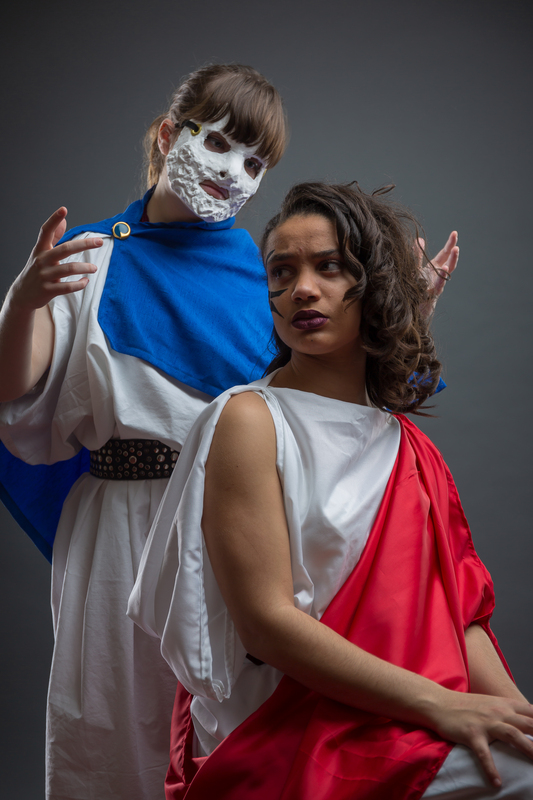 Through an all-female cast and traditional Greek masks, this production explores themes of love, empowerment, and betrayal. The cast and crew strip away the hyper theatricality to present this classic in an intimate and minimalist manner, truly showcasing the beauty of the words and the prowess of the actresses. Highlighting the extraordinary in the ordinary, the unconventional within the conventional, this is an experience you do not want to miss. Charlie Patterson as Nurse/Guard, Cam Hogue as Tutor/Guard, Lily Canter as Child, Megan Graeler as Child, Grace Kelly Fulton as Medea, Kennedy Nadermann as Familiar, Talia Raider-Roth as Chorus Leader, Christina Picklo as Rational, Nina Roberto as Juror, Elle Bisheimer as Advisor, Caroline Yaeger as Zealot, Sarah Mansfield as Creon, Lily Adams as Jason, Perri Wedlock as Aegeus, Sophia Rooksberry as Messenger/Guard, and Mama Njie as Guard.